Michael J. Gaffney is the associate director of Washington State University’s Division of Governmental Studies and Services. 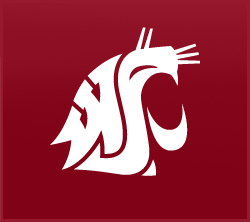 DGSS is a joint outreach effort of the College of Liberal Arts and WSU Extension that provides applied research, consultation, and training for governmental agencies throughout the Northwest. It is that expertise and network of connections he will help leverage on behalf of NARA’s Outreach Team. Before joining WSU 12 years ago, Mike was an attorney in both private practice and the U.S. Air Force. His research interests include emergency response, social capital, volunteerism, crime prevention, disaster preparedness, research methodology, ethics, biased policing and profiling, democratization, alternative dispute resolution, community oriented policing, hazard mitigation planning, and citizen-government interaction. He is also a principal in WSU’s partnership with the Western Regional Institute for Community Oriented Public Safety (WRICOPS). WRICOPS has worked in five western states and with tribes across the country to advance community policing and innovative public safety practices. Gaffney earned a bachelor’s degree in political science and economics as well as his Juris Doctor from the University of Idaho. He is in the process of completely is doctoral degree in political science at Washington State University.